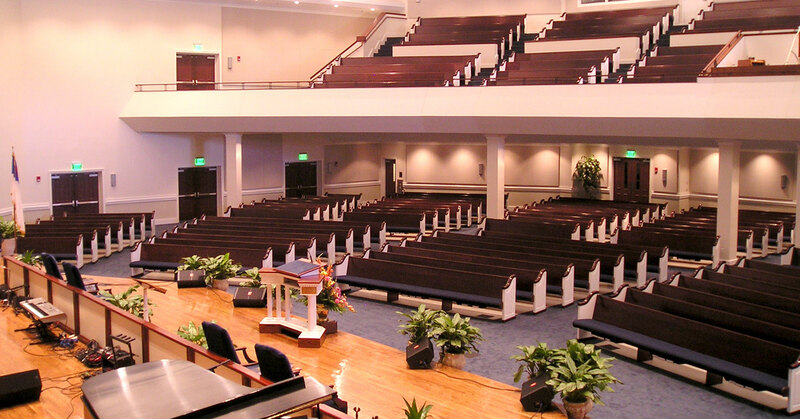 Rapidly increasing membership and attendance at this church brought about the decision to relocate to a site that could adequately support its numerous and varied ministries. The master plan for the new wooded 50-acre site uses the concept of a building layout centered on a courtyard. This ‘campus plan’ not only draws from the natural beauty of the site, but also enhances it by providing ways to better appreciate the land. The building area lies at the pinnacle of the site offering the best visibility and most efficient access, while also allowing development of outdoor recreation fields, area for natural preservation, and space for future expansion. 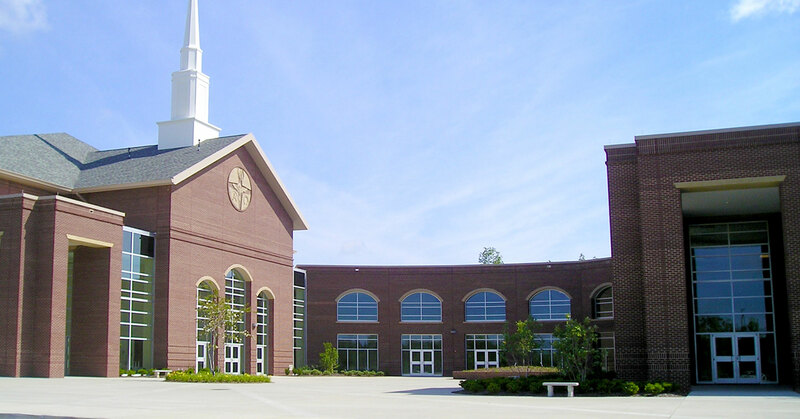 The master plan represents the church’s current needs as well as its projected needs. 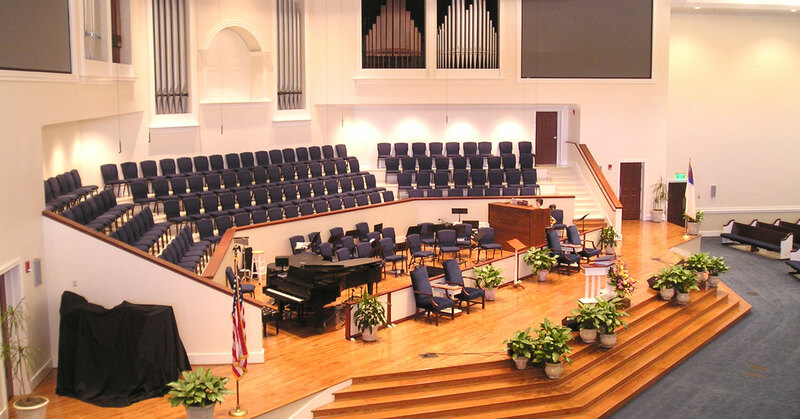 In addition, the design is a reflection of the church’s values, providing places to worship and glorify God, as well as spaces to fellowship with others. 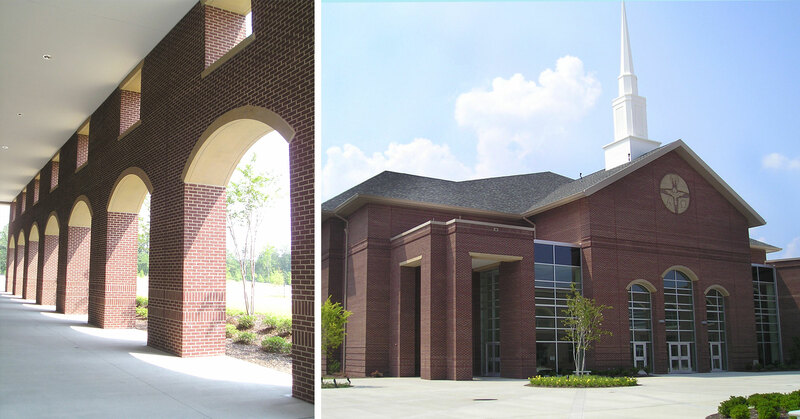 The 110,000-square-foot Phase One includes an interim worship space, a music suite, office suite, two education buildings, a fellowship hall and a family life center.